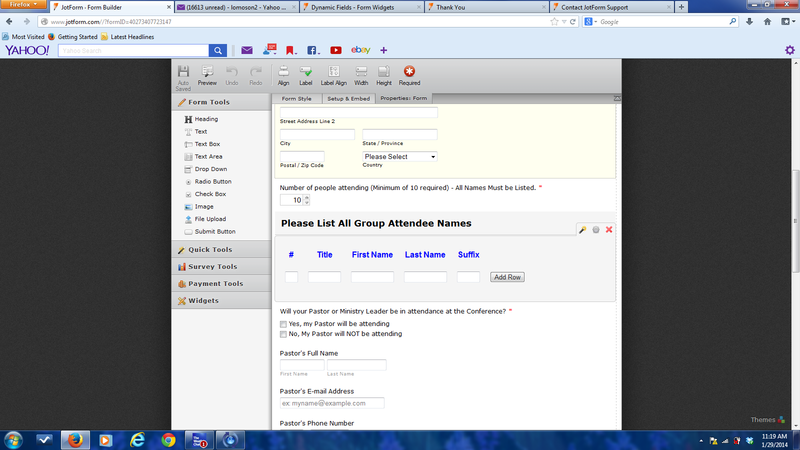 I'm using the above widget to try to include list of registration names as needed according to the numbe of people in the group to attend. When I make that a required field, the way that this widget does, you have to click to add a form to get to the next line. As a result, it adds another blank form line which when I don't enter any information there it tells me my form has errors. How can I get around this? I can see what you mean. Actually, that is the way how it works, once the field is set as required every new row must be filled, otherwise it will show the error you mention. If you want to avoid that behavior, you will need to set the matrix as non-required. Let us know if you still need assistance with this inquiry.